Tara McPherson is Chair and Professor of Cinema and Media Studies at the University of Southern California’s School of Cinematic Arts and Director of the Sidney Harman Academy for Polymathic Studies. She is a core faculty member of the IMAP program, USC’s innovative practice based-Ph.D., and also an affiliated faculty member in the American Studies and Ethnicity Department. Her research engages the cultural dimensions of media, including the intersection of gender, race, affect and place. She has a particular interest in digital media. Here, her research focuses on the digital humanities, early software histories, gender, and race, as well as upon the development of new tools and paradigms for digital publishing, learning, and authorship. Her most recent book, Feminist in a Software Lab, was published by Harvard University Press in 2018. Her Reconstructing Dixie: Race, Gender and Nostalgia in the Imagined South (Duke UP: 2003) received the 2004 John G. Cawelti Award for the outstanding book published on American Culture, among other awards. She is co-editor of Hop on Pop: The Politics and Pleasures of Popular Culture (Duke UP: 2003) and Transmedia Frictions: The Digital, the Arts, and the Humanities (California UP: 2014) and editor of Digital Youth, Innovation and the Unexpected, part of the MacArthur Foundation series on Digital Media and Learning (MIT Press, 2008.) Her writing has appeared in numerous journals, including Camera Obscura, American Literature, The Velvet Light Trap, Discourse, and Screen, and in edited anthologies such as Race and Cyberspace, The New Media Book, The Object Reader, Virtual Publics, The Visual Culture Reader 2.0, and Race After the Internet. She was the Founding Editor of Vectors, a multimedia peer-reviewed journal affiliated with the Open Humanities Press, and was a founding editor of the MacArthur-supported International Journal of Learning and Media (MIT Press.) She is a widely sought-out speaker on the digital humanities, digital scholarship, youth and media, and gender and technology studies. Tara was among the founding organizers of Race in Digital Space, a multi-year project supported by the Annenberg, Ford, and Rockefeller Foundations. She was on the advisory board of the Mellon-funded Scholarly Communications Institute, has frequently served as an AFI and Peabody juror, is a founding board member of HASTAC , and is on the boards of several journals and other organizations. 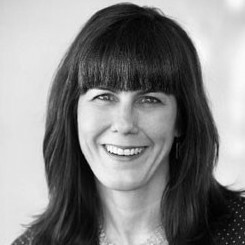 With major support from the Mellon Foundation and the National Endowment for the Humanities, she is currently working with colleagues from other leading universities and with several academic presses, museums, scholarly societies, and archives to explore new modes of digital scholarship and pedagogy. She is the lead PI on the multimedia authoring platform, Scalar, and for the Alliance for Networking Visual Culture, scalar.usc.edu.